The Humboldt Bay area may become the site of the first offshore wind energy project on the west coast of North America. 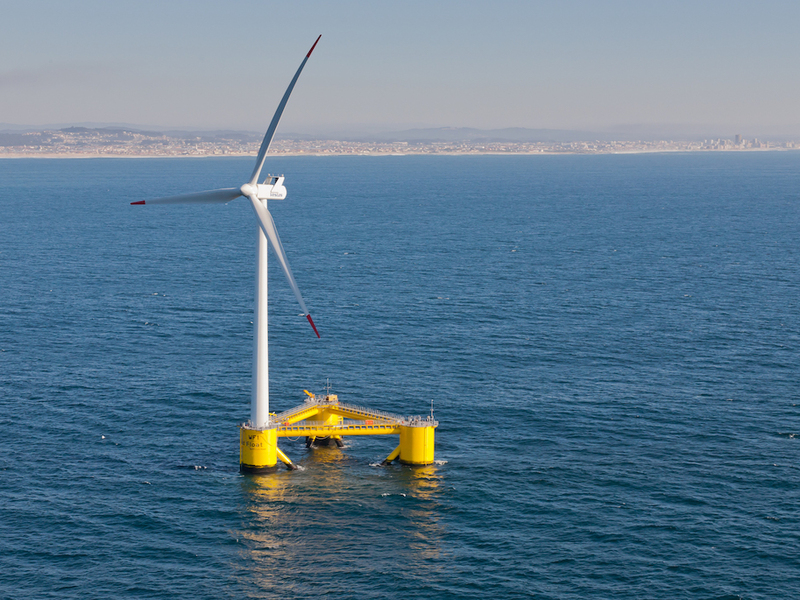 The pieces are quickly falling into place for Redwood Coast Energy Authority to become the first local government entity to apply for a commercial offshore wind lease from the federal government. Unlike land-based projects, this lease bid would be just the beginning of a series of studies and related permits that could culminate in project development in 5-7 years. Humboldt Baykeeper was launched in October 2004 to safeguard our coastal resources for the health, enjoyment, and economic strength of the Humboldt Bay community through education, scientific research, and enforcement of laws to fight pollution. Humboldt Baykeeper is a program of the Northcoast Environmental Center, a non-profit organization devoted to conserving, protecting, and celebrating terrestrial, aquatic, and marine ecosystems of northern California and southern Oregon. Our Tax ID# is 23-7122386. Please specify that your donation is intended for Humboldt Baykeeper. 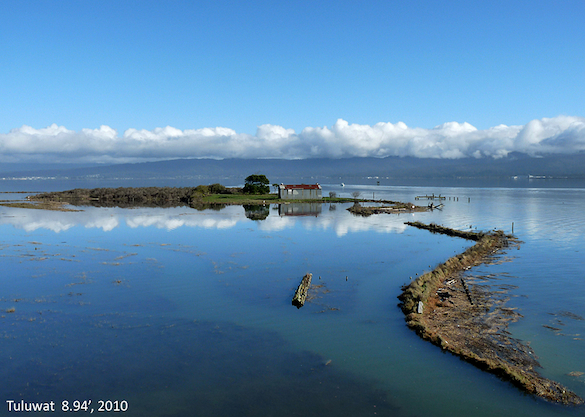 Humboldt Bay is the second largest estuary in California. The Bay and the adjacent Pacific Ocean coastline give our community its unique character. The health of our waters both in the bay and along our coastline depend greatly on the functioning of the intertidal mudflats, salt marshes, and freshwater wetlands of Humboldt Bay which act as a natural pollution filter and flood plain. Clean water supports healthier fisheries, which in turn support bird and wildlife populations. For the human community around the bay and coast this means more lucrative fisheries, better bird hunting, bird watching, and cleaner water for recreating, including boating, surfing, diving, and swimming. Humboldt Baykeeper's programs involve scientists, boaters, fishermen, birdwatchers, students, and other concerned citizens in the important work of protecting Humboldt Bay, its tributaries, and the near-shore waters of the Pacific Ocean. The geographical reach of Humboldt Baykeeper's programs includes Humboldt Bay, its tributaries, and the Pacific Coast between Trinidad Harbor to the north and the Eel River estuary to the south. Baykeeper maintains an on-the-water presence throughout the area, patrolling by motorboat, kayak, and airplane, with upland areas patrolled by car and by foot. The Humboldt Bay Symposium will be held on April 11 and 12 at the Wharfinger Building in Eureka. Featuring sessions on sea level rise, ecological restoration, ocean science, and economic development, the symposium will provide the public an opportunity to engage directly with scientists, managers, and local experts and learn about the latest developments on a variety of current Humboldt Bay issues. The Trinidad Rancheria recently presented its revised concept of a 100-room hotel on the bluffs of Scenic Drive but it aroused little enthusiasm from the residents of Trinidad. David Tyson, CEO of the Trinidad Rancheria Economic Development Corporation (TREDC), gave the presentation during the March 13 meeting of the Trinidad City Council to an audience of about 40 people. Tyson said the Rancheria had reviewed the hundreds of comments received last October about the planned five-story Hyatt hotel and tried to address the concerns expressed. TREDC has hired a new developer, architect and hotel operator. Nonetheless, the plans still depict a five-story building, which is considerably larger than any other structure on the Trinidad coast. The height of the building was reduced by about 20 feet, and the exterior now displays exposed timber and rock, which Tyson said is typical of northwestern architecture. Proposed water usage, which had been one of the most contentious issues, will be reduced to 3,500 gallons per day or less, Tyson said, because laundry will not be done onsite. This should also reduce the amount of wastewater entering the leachfield. The Rancheria also plans to use recycled graywater in the toilets, to help reduce water use. City Manager Dan Berman described the inherent uncertainties in studying the city's water supply. He described it as a puzzle consisting of three pieces. The first is how much water would be needed when all the land within the city limits is built out. The second is the capacity of the water treatment plant. "Even if the creek was infinite, how much water can we really pump and clean and produce on an ongoing basis out of our treatment plant? ... If we try to turn everything up 20 percent at our plant, does it still work right?" The third and most difficult piece of the puzzle is asking how much the entire watershed could support, especially considering climate change and drought. A government-to-government meeting between the Trinidad City Council and the Trinidad Rancheria Tribal Council was planned for the next day. It was not open to the public. A bill introduced by a state Sen. Scott Wiener (D-San Francisco) that will address ocean acidification and water quality issues has been introduced and it’s being supported by a wide variety of stakeholders. Senate Bill 69, authored by Wiener, is aimed at reducing landbased sources of pollutants, the restoration of wetlands and the sequestration of greenhouse gases and to protect wildlife and keystone species. The bill specifically addresses timber harvest practices with an aim to limit the amount of sediment that flows into local rivers and streams and which then impacts the quality of water for bays and the ocean. “This bill adds a layer of oversight that has been missing in the timber harvest plan approval process,” said Noah Oppenheimer, executive director of the Pacific Coast Federation of Fishermen’s Association. He added the timber plans must be turned over to the local regional water quality control board but from there they have not been actively reviewed. Water quality issues are of paramount importance to the North Coast fisheries and aquaculture on the bay and one of the goals of the bill is to address ocean acidification caused by the increase in carbon dioxide in the atmosphere. Shellfish, eelgrass, kelp and seaweed are all vulnerable to temperature changes and ocean acidification and any steps that can improve water quality, whether it’s a freshwater river or Humboldt Bay, would be welcomed by those who make a living on the water. Dale said one of the key reasons there is a thriving aquacultural base on the bay is due to the coordination and cooperation with local cities and the county, pointing out that the cities of Arcata and Eureka have been excellent to work with and both cities are focused on water quality that serves aquaculture. One of the key reasons the bill has gained the support of a wide variety of stakeholders is because it calls for action. The measure will require the state Department of Fish and Wildlife to implement new projects to improve Chinook salmon fisheries in the Central Valley and across the salmon fishing industry in the state, require timber harvest plans to be reviewed before approval and require the Natural Resources Agency to identify watercourses that will be listed on the California Endangered Rivers List. Kalt also pointed out local issues on Humboldt Bay are twofold. Dredging is definitely an issue because of heavy sedimentation in the bay and the dredge spoils, which can be used for wetland restoration, are prohibitively expensive to move from one location to another. Kalt said the importance of wetland restoration is a key part of the bill because those areas play a key role in filtering pollutants and help protect the shoreline from storm damage and support fish and bird habitats.